tania (me!) with my creation! If he is somewhat mathematically inclined, write the following in icing on the cake. You can also do the 3D version . 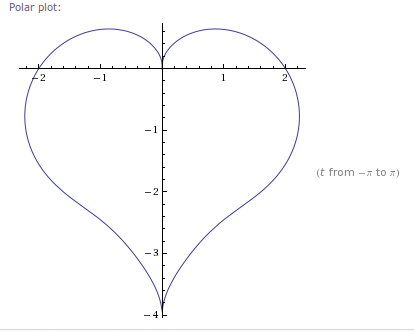 One of my favorites: "Roses are #FF0000 violets are #0000FF all my base are belong to you." which looks wrong of course at first - it may take him a while to figure out the trick. How about making the icing flash on the top of the cake? In combination with these any of these answers, you could put just five candles on the cake. Light the first two, leave the next two unlit, and then light the last one. This is the binary representation of 25. Besides being geeky, it will leave more space on the cake for your writing/drawing too. 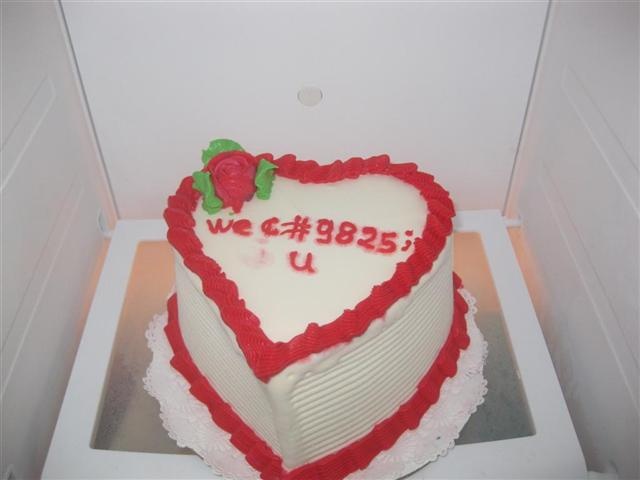 Spell out "SGFwcHkgYmlydGhkYXkK" in icing and tell him that he'll have to base64 decode it. Put a bug inside of the cake to make it more realistic. 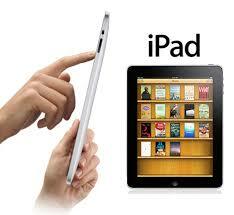 That, or in the writing you can mangle the code of your choice so that it doesn't compile correctly. To be very devious you can make it compile but throw runtime errors or even -- gasp -- no apparent compile or runtime errors at all but flawed logic that will force him wake up in the middle of the night to "debug" the cake. EDIT : All programmers are immortal but eventually somebody will interrupt with Ctrl-C or throw some kind of OutofLifeException. Give him an un-iced cake and tell him that, due to a last minute critical bug, you had to pull the icing feature to make your deadline. candles      ! !   ! !   ! IDE? bugs? May include exterior coating (GUI). Give him flour, eggs, sugar, etc .. a recipe and tell him its open source, sorry ... he has to configure and build it himself. Use a QRCode -- then you can encode any message, website, etc. He should already have the application to read it in his smartphone with camera. Awww! That's adorable. There is no code for Happy Birthday, But you could write his age in binary and put a goto before it. It's not real code together, but it gets the message across, e.g. You can use the windows calculator in expert mode for getting the age into binary with a single click. The above is binary for 25 (since you mentioned he'd turn that in a comment). Today was my b'day and guess what? This is a variant of the "iconic" hello world program, that is more or less the first program anyone would write when learning a new programming langague. When compiled and the executed, it would print the string "Happy birthday." Standard-conforming, maybe not as iconic, and perhaps too long on a cake. If he's also a gamer, just have a plate with the note 'There is no cake' - he'll get it. Do you know what language he uses at work? If you do, you could adapt any of the fantastic examples on this page  to write a little program to print out "Happy Birthday!" If you don't know what programming language he likes best, the C# example below is a pretty solid fallback choice since it has a lot of good programmer gunk in it but it is still very clear what will happen. What about <blink>Happy Birthday!</blink> ? Thanks everyone! There are some great ideas so far. I did google ideas for the cake, but wanted to come straight to the source and see if you guys had anything fresh. Keep them coming! I love the binary ideas - thank you for the link to the text creator. Oh, and I am not using my real name here, in case he checks this! Shhhhhh! As to the other Portal references, promise him a cake, send him through many tasks to get this cake, then only show him a picture. [+3] [2010-03-20 00:39:19] Matt S.
Well, programmers are almost always constrained by deadlines. More often than not it is not met ;). So your cake could say "Congrats - Milestone 25 reached on time"
Model the Tower of Hanoi problem: Have three small cakes of various heights, and stick a gingerbread stick through the center of each cake. Simply take him to one Good Restaurant for candle light dinner and say "Happy Birthday Sweetheart". Chocolate frosting with green icing. Unix prompt for extra points! I saw you said he teaches Flash..
in Flash gotoAndPlay() used to be a way to send the play head to a particular frame in the timeline where "bedroom" would be the frame label. How about you just send him a virtual cake? How about some scripting language code? With proper wrong markup to test his standards skills. Or in Enterprise application Tiers written on the sides! Happy birthday to you, happy birthday to you, happy birthday dear boyfriend, happy birthday to you! You could put his age in binary, or hex. Just a dumb thought. Not sure if you can easily do that with icing, but if you can, I want to see the pic!!! Every programmer, while he/she is a beginner, almost always write a program that just prints "Hello World". Why not write Hello World on the cake? Doing something in binary might be fun, and more interesting than some programming code which gives the answer outright in a string. Here's a text (ASCII)-to-binary converter  which you can use to get the code for whatever you enter. Draw a schematic for a "flip flop" on the cake. It's not code, but it is the electronic circuit that stores 1 bit of memory. 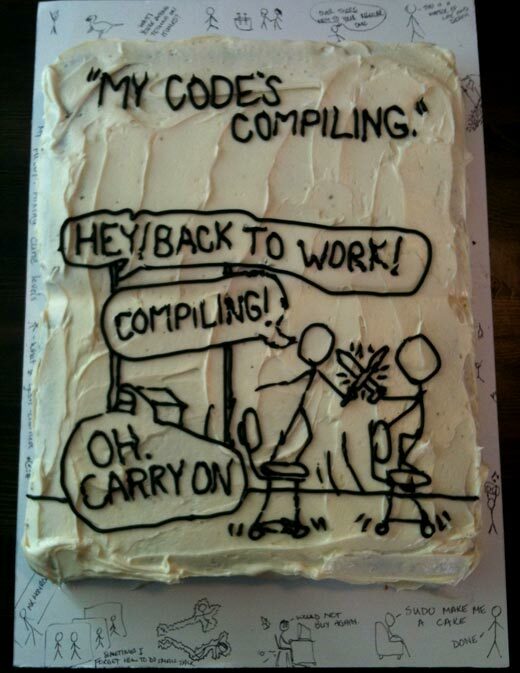 A programmer might appreciate it, and it would look cool on a cake. Short enough for a cake, and it depicts the event. Simple and probably wrong, but combines Portal and programming.